We both read the same book and then we came up with a set of questions that will allow us to discuss the book without really giving anything away for those of you who haven't read it. We both answer each question and we think of our answers beforehand so as not to be influenced by the other person's ideas. We do have a chance for rebuttal or additional commentary after we've read what the other person wrote. If you've read the book and you want to weigh in with your own answers, reactions to ours, etc. we'd love that! Surely one of these days we'll read a book that one of you have also read. 1- All the princesses are names after flowers. What flower would you like to be named after? Which would you NOT want to be named after? Whit: Hmm, is this a lame question? Sorry. I like the name Zinnia. And I think being named peony or hydrangea or snapdragon would be less than ideal! Ha-- snapdragon…yep, this is a lame question! Robyn: The Name Game! Here's the thing. I think ANYTHING can be, has been, or will be the name of some child. And have you noticed everyone had really gigantic opinions where names are concerned? Anyway... as for flowers. I think I'd like to be named Dandy Lion! Haha! You say no to Snap Dragon? Come on, I'm often Snappy. That would actually be a fitting name for me. I probably wouldn't want to be named Peony either. Not great. And Geranium isn't a lovely sounding name. How about Petunia? I'm always calling little girls that. I don't know why. Whit: You're right, anything can be, has been, or will be the name of a child. And yes, people are verrry opinionated, this is why we NEVER EVER revealed the names we were planning yo use before our babies were born...so people wouldn't ruin it for us. People are much less likely to say 'that's a stupid name' when they are holding an adorable little baby-- I mean, don't get me wrong, it happens, but it's less likely. Robyn: We usually don't know what we're going to name our babies before they are born. So, it's a big reveal for us too! 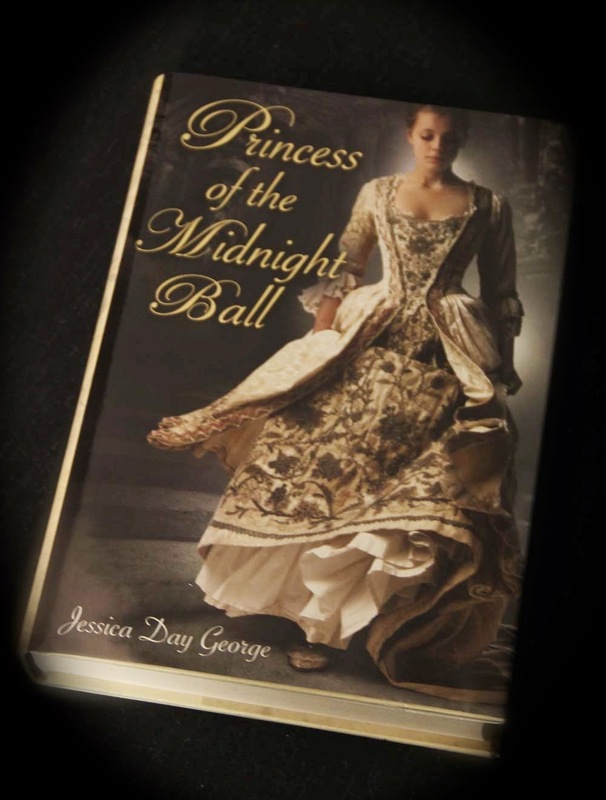 2- In the book, the princesses have a secret that they are physically unable to share with anyone else. If you had to choose between being one of the princesses and knowing the secret or being one of the bystanders and always wondering what the heck was going on, which would you choose? Whit: I think I'd rather NOT know…life is rough for the princesses because of the secret. I think I'd rather be blissfully in the dark and not be tired all the time from dancing all night for a creepy underworld king! Robyn: I agree. It would be torture to have a secret you could't tell. Not even to your own father. Honestly, that would be the worst for me. Yes, give me a life in the dark... let me wonder and ponder and gossip. But don't make me miserable in my knowing something deep and dark that I can't even talk about. I'm certainly with you on this one Whit! 3- In the book, Galen's ability to knit (plus a little magic) helps him solve the princesses problem. Do you know how to knit? And, if you could have some sort of 'handwork' super power what would it be? Whit: Yes, these questions are just getting more and more exciting aren't they? Sorry. So, I do not know how to knit. But if I could have some sort of handwork super power it would definitely be ARM KNITTING!! Because you'd just need your arm…you know, you wouldn't have to be worried about caring around needles or a crochet hook all the time and you could just knit traps and I don't know, other stuff the catch bad guys…or maybe you'd knit with the arms of bad guys…that puts a whole new spin on arm knitting…and has nothing to do with this book whatsoever…oops! 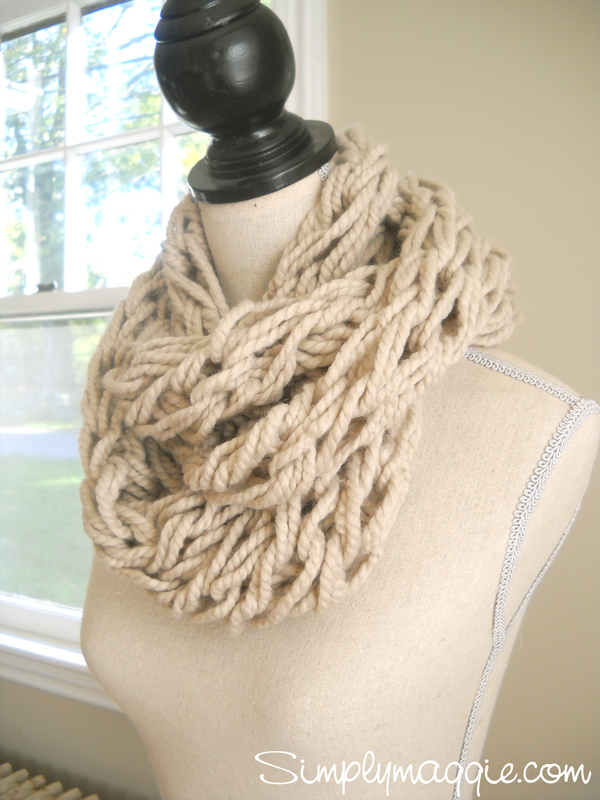 But really have you seen something made by arm knitting? It's cool! Robyn: I don't know what you are talking about Whit. I guess I need to google arm knitting. Do you arm knit? ANYWAYS. Nope, I don't knit. My mom tried to teach me to knit socks once and I didn't get far. I should try again someday. My handwork power? What if I could use a paintbrush to do magical things? Like paint away ouchies and bad hair days? Whit: No fair, I meant like sewing or knitting or cross stitch kind of handiwork-- unless you are saying toll painting-- are you gonna toll paint away bad hair days? If yes, then you can count it because otherwise your answer is too much better than mine :) Also, here is a picture of something that has been made using arm knitting. And, guess what, I looked up how do to it, it sort of looks like you're in handcuffs essentially while knitting so I'm thinking it may not be the greatest super power after all. I guess I should research my handiwork super powers more carefully. Robyn: Looks very cool! And sure, I meant toll painting (I didn't mean toll painting). How about I use sewing then. I could whip up a giant squid and throw it at the bad guy. HA! 4- Rate this book using our super crazy bizarro scale:10 being a triple scoop ice cream and one being a can of wet dog food. Whit: Well, I liked this one. I thought it a creative twist on a classic tale, so I'm gonna give it an 8, maybe an 8.5. I think Lilac would enjoy reading it in the next few years. Robyn: I thoroughly enjoyed this book. Good clean entertaining fun! 8... yep, it was an 8. Anyone else read about these lovely dancing princesses? I'm guessing if you haven't read this version you've probably read another. Do you have a favorite version of this classic tale? Do tell! What are we reading next time you ask? Robot Dreams by Sara Varon. You should all go out and borrow yourselves a copy so you can join in the next Bizzaro conversation!!! It's completely different from anything we've ever reviewed in the past! We'd adore your opinion as always. Thanks for indulging us. Until next time, Happy Reading!